Is there occasionally a question of degree when measuring devotion? There’s everything to be said for balance, sanity, and getting to sleep in sometimes, having a life and etcetera. But when I woke to my silent mental alarm clock at 4 in the autumn morning a few weeks ago, I knew exactly where the measure of obsession began that day. Mottled pink scarf wound around my head, bedridden auburn flyaways and coffee-less eyecircles facing the dawn world, I stepped out with a giant backpack and a little mission involving, well, what else? Fruit. In much of the world, urban foraging is pretty common. Here’s a short intro-article. I guess it’s otherwise known as freeganism and has popularity on the west coast for obvious reasons (free spirits + luscious flora being the two biggest). 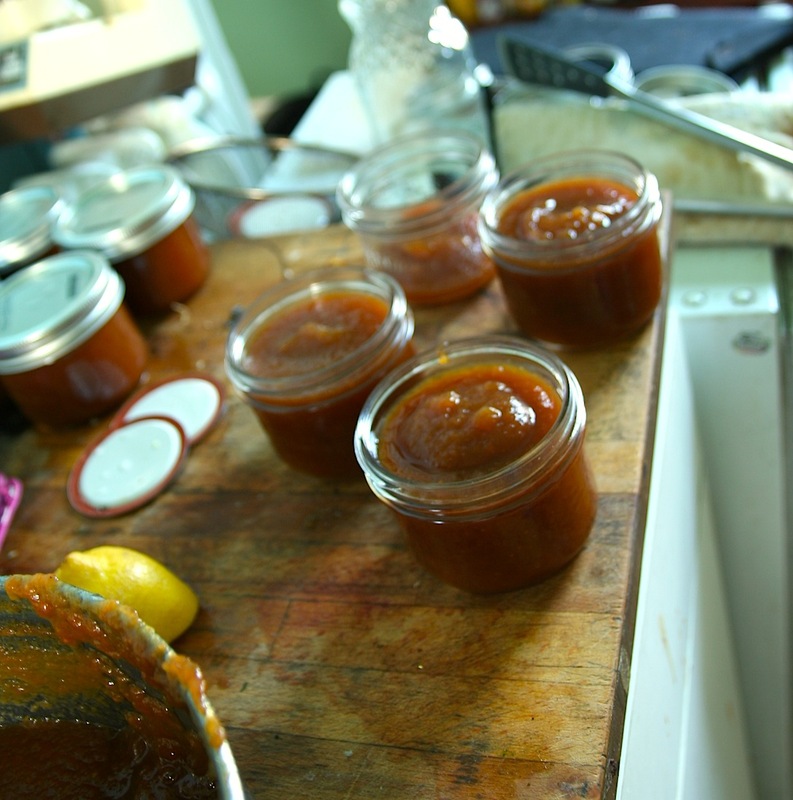 In Kelowna my mother would take me through the wide alleys at the changes in the seasons, filling her pockets with seedlings and her car with forgotten plums, flowers, apples and herbs, which we turned into jar after jar of sparkling jams and jellies. It was a winning situation – the neighbours more than happy to give away the unwanted surplus from their fertile trees, and we with some pretty decked out toast to enjoy with our coffee. I guess I’m still a fan of toast and adventures, which is why I went foraging that morning. And in Montreal no less! I never thought it possible but I found a whole yard full of slightly bruised but delicious Yellow Delicious and knew that their end would be in a giant crackling bubbling brew of spicy apple butter on my stove. It feels good sometimes to get the fingers a little dirty, the knees a little worked, and the mind beginning to understand more fully what the meaning of “harvest” is. Anyway, I brought home as many as I could carry. This is from my favourite preserving book ever – Jams, Chutneys, Preserves, Vinegars and Oils by Marguerite Patten – with some additions from the spice cupboard (naturally). It’s a formula, which is good. It means that you can boil down as much fruit as you’ve got and then work out the sugar afterwards. I’m leaving the measurements as-is from the book, but you can scale everything up with ease. 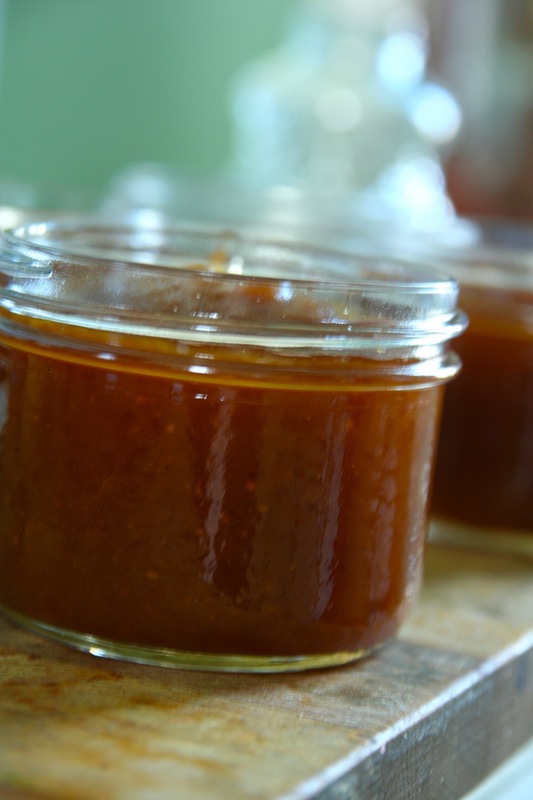 Oh, and I halved the amount of sugar from the original recipe to accomodate modern tastes, which is about as low as you can take the sugar content and still have it safe to preserve in mason jars. It’s still plenty sweet, and even more appley deepely spry! Core the apples and cut into chunks (leave the skin on – it has great flavour! ), then simmer them along with the spices and the water until soft and turned to a thick puree. Mash the fruit, then pass it through a sieve or a food mill and discard the solids. Measure the puree and for every 600 ml/1 pint/2 cups add 3 tablespoons of lemon juice and 225 g/0.5 pint/1 cup sugar. Return the puree to the pan and stir over low heat until sugar has dissolved. Boil steadily until the mixture is very thick and smooth. 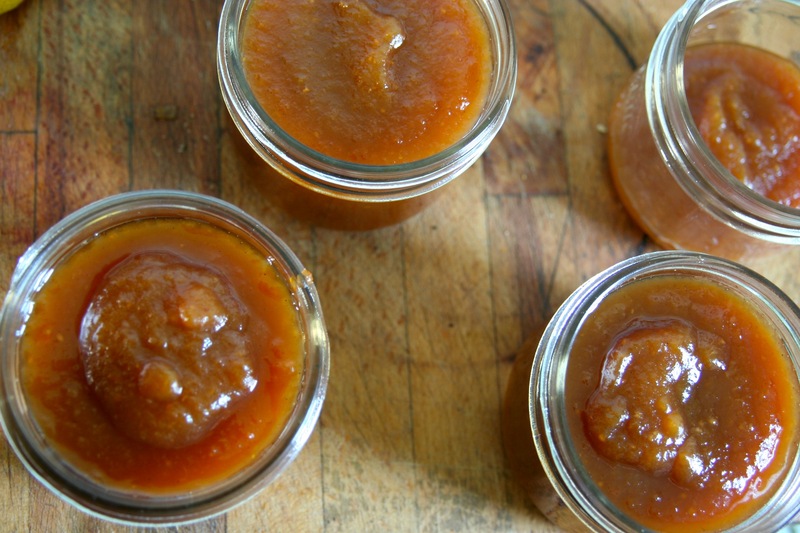 To check if it’s finished, put a bit onto a cold plate and put that in the freezer – the apple butter should hold it’s shape when cold and have a thick, spreadable consistancy. Finally, add a pinch of salt and a splash of Calvados (if using), and bottle it up! If you wanted to preserve it in a hot water bath, here’s a link that has a great explanation. If you don’t preserve it, it will last about a month in the fridge. It’s a little spoonful of heavenly autumn. My favourite way to eat it is on soft untoasted seed bread with a swathe of tangy organic cream cheese. MAKES KILLER XMAS PRESENTS. Hey, and speaking of christmas, next time I’ll post my recipe for cranberry pomegranate, chocolate, and Port wine preserves with almonds. It’s a mouthful, but oh, so so good!